Now that the dust has settled and the ELEAGUE CS:GO Premier 2018 trophy has been claimed, what can we expect from the teams that came to Atlanta this season? Let’s take a closer look at their aspirations for the future. 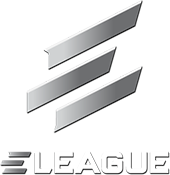 Last year, ELEAGUE opened their doors to the fighting game community with the first-ever Street Fighter V Invitational. The players and storylines delivered; Punk came out of nowhere to win the entire event, and Phenom came in second place.